The Woelfel Law Firm can help you navigate all of your family law issues. Family law issues can be emotional and difficult. Our attorneys will listen to your goals and work with you to achieve your desired results in the least painful manner. We will protect your rights and guide you through the legal process. Call our attorneys at (530) 541-3470 or fill out our online form to schedule your initial consultation. Property Division: Property and debt division in a divorce can be complicated, and utilizing an attorney can help with determining the best course of action. Some issues that may arise include what is marital or separate property? How does property that was inherited get treated? What happens if the only thing left is debt? Our lawyers can assist you with answering these questions. Child or Spousal Support: Child and Spousal Support issues can be hotly contested, and our lawyers can help you navigate these issues. The law requires that both parents provide support for children who are under eighteen and full time high school students. The determination of support is made by using a formula, called “guideline” support. Spousal support is determined using a long list of factors, the duration and amount of which is determined after a court analyzing all of these different factors. Our attorneys can discuss the guidelines and factors a judge will look at in making such an order. Custody and Visitation Issues: Issues of custody and visitation must be worked through in any divorce proceeding involving minor children. Our attorneys can work with you to discuss the concepts of full custody, joint custody, how much time is spent with each parent, and who gets to make decisions regarding the health, education and welfare of the children. Our office can also work with you on guardianship issues, adoption issues, and prenuptial issues. Annulment Or Legal Seperation: Annulment is the legal process by which a marriage is deemed to be void. An annulment is not easy to obtain. If you are interested in an annulment, please schedule a legal consultation to discuss whether this option may be available to you. A legal separation is a process in which the prates remain legally married, but property is divided and support can be ordered. Collaborative Divorce: In a collaborative divorce, the parties seek to work together with a team of professionals to come up with a mutually agreeable resolution without the need for judicial intervention. For more information regarding the collaborative divorce process, please see the International Academy of Collaborative Professionals’ website: www.collaborativepractice.com We have successfully worked with many couples to come up with a divorce agreement that resolved all issues and avoided the need for court intervention. Restraining Orders And Domestic Violence Issues: Domestic violence issues can have far reaching effects. Our office can assist you with these issues whether you have been the victim of domestic violence, or whether you have been accused of domestic violence. Domestic violence issues can have criminal implications, and can have a substantial impact in any family law case. Our office can educate you as to your rights, and can discuss with you what orders can be obtained in a domestic violence case, such as a restraining order. A divorce legally ends your marriage or domestic partnership. After getting a divorce, also known as a dissolution of marriage or a dissolution of domestic partnership, you will be considered single and may then marry or become a domestic partner once again. In the state of California, which is a “no-fault” divorce state, you may get a divorce if you have “irreconcilable differences” with your spouse/domestic partner. 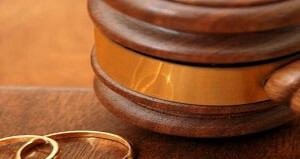 The court does not consider either party in a divorce to be guilty or non-guilty, therefore you do not have to give any other reason for a divorce. The courts only interests in a divorce is in helping both parties come to a fair agreement and moving forward in their lives. A divorce in California takes at least 6 months from the original date that the person whom is filing notifies their partner about the divorce. Some cases may take longer, but the minimum time in California is 6 months. During these 6 months you may submit all of the required paperwork and have your case approved, but the mandatory waiting period will still remain. If for some reason a divorce is not desired or possible, a legal separation may be requested from the court. A legal separation is not technically an end to a marriage or domestic partnership, and therefore the parties involved may not be able to remarry or enter a domestic partnership. If specific requirements are met, a legal separation may be changed to a divorce. If a court determines that your marriage/domestic partnership is not legally valid, you will be eligible for an annulment. Annulments are also known as nullity of marriage or nullity of domestic partnership. Once you have an annulment, your marriage/domestic partnership will be treated as if it had never happened. In order to qualify for an annulment, there must be proof of an illegal marriage. Typical reasons for divorce or legal separation do not qualify for annulment. Things like children, shared property, and large debts tend to make divorce and legal separations very complex. It is always a good idea to speak to a lawyer before initiating these processes. We can help you be prepared and keep an organized schedule of tasks. We will protect your rights and guide you through the legal process. Call our attorneys at (530) 541-3470 or fill out our online form to schedule your free initial consultation.